…. the stories of three American women put in jail for murdering people they knew in a shocking, eye-opening documentary. Mesmerizing interviews with Amber Hilberling, who pushed her husband out of a 25th floor window; Patricia Ignacio, who killed a cousin with a rock; and Ana Trujillo, who stabbed a lover to death. True-crime buffs will be in their element. As a documentary, Woman Who Kill wisely resisted making any judgments. It put one thing across forcefully: every murder, however typical, is also unique, based on peculiar circumstances. One third of the world’s female prison population is in America; 30,000 of them are inside for murder. Unlike their male counterparts, female killers often know their victims. What drives women to kill the ones they know and love? In episode one, we meet three ordinary women with extraordinary stories of murdering people they knew. 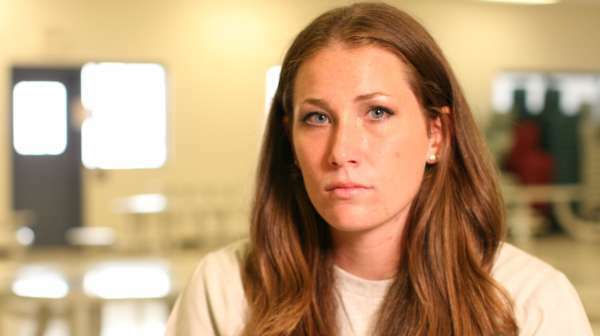 Amber Hilberling was just 19 and pregnant when she pushed her husband out of a high-rise window. Patricia Ignacio bludgeoned her cousin to death and Ana Trujillo murdered her boyfriend by stabbing him 25 times with her stiletto heel. One in ten murders in America is committed by a woman. Most are as a result of marital abuse, mental illness or drug and alcohol abuse, but there’s a rare breed of murderess whose motivation is pure greed… and they’re known as Black Widow Killers. In the second programme we meet Celeste Beard-Johnson who was convicted of conspiring with her lesbian lover to murder her millionaire husband and Dorice ‘Dee Dee’ Moore who is serving life without parole for murdering a multi-million dollar lottery winner.